UCRRA Board Unanimously Pass Resolution to Triple Kingston’s Single-Stream Recycling Costs through December. On Wednesday, the Ulster County Resource Recovery Agency (UCRRA) unanimously passed through Resolution No. 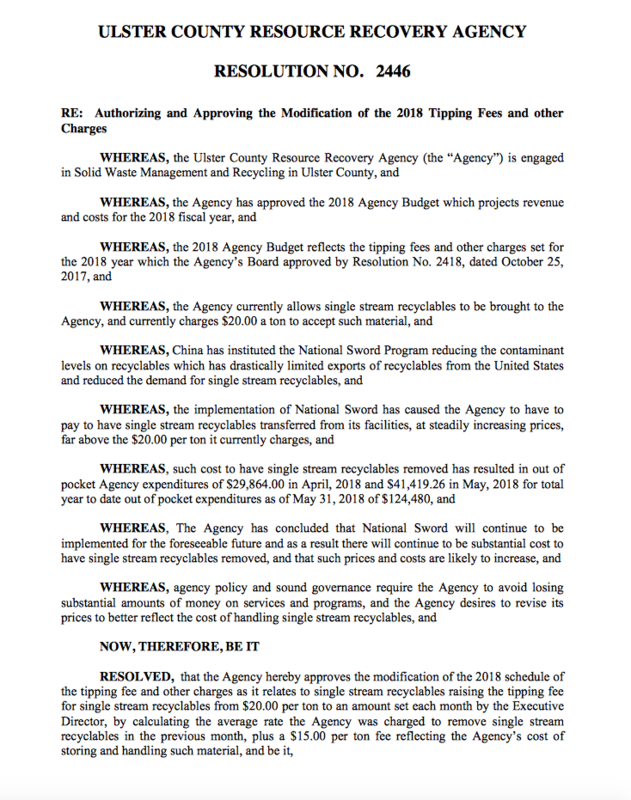 2445 that will end single-stream recycling for the agency on December 31st, 2018 and resolution No. 2446 to increase tipping fees for the remainder of the year beginning July 1, 2018. What does that mean for Kingston? Single stream recycling is Kingston’s current system, and we made a large investment in order to do so between 2011 and 2013 with UCRRA’s blessing. Although Kingston is the only municipality who does so through UCRRA, other communities in Ulster County engage in single stream recycling through private haulers without any trouble. The City of Kingston, that serves approximately 24,000 people, must now scramble to figure out how to manage its single-stream recycling before the end of the year and in the meantime, the costs to use UCRRA as we have will TRIPLE from $20 per ton to $76 per ton in July ($61 + $15 user fee). The price may fluctuate from month to month, and be even higher until single-stream is discontinued at UCRRA and we go off on our own. The bitter pill in all of this for the public is that during the UCRRA Board’s informational meeting earlier in the spring, the agency was aware of the potential changes in the market last October. 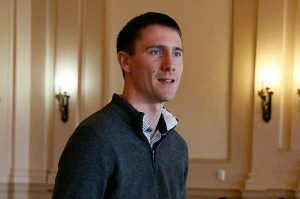 Prior to the City of Kingston adopting its municipal budget and with more time to engage in discussions with the public and private enterprises. KingstonCitizens.org will host a public educational forum on the UCRRA board in September of 2018. Photo Credit: Phyllis McCabe for Hudson Valley One. Click on image to view Mayor Steve Noble’s Testimony at the UCRRA Public Hearing on Single Stream Recycling and rate increases on June 14th. “I could come before you this evening to talk about how the city of Kingston began its single stream operation. I could talk to you about how the Research Recovery Agency blessed the city of Kingston’s transition to single stream recycling. I could talk to you this evening about how much money the city has spent with both local funds and state grant dollars purchasing recycling bins for the city of Kingston residents. I could also talk to you at length about the amount of money spent on mechanizing our equipment to have the single stream recycling trucks that we purchased with state dollars. I could also speak to you this evening about how our recycling rates have almost doubled in the city of Kingston since we implemented this new recycling program. But in five minutes, I can’t do that. I also don’t believe I can do that in the month in a half that we’ve had since UCRRA announced its plans to discontinue single stream recycling. This is viewed as something that, as you all have indicated, has been happening because of China. But I would say that the issue of recycling has been happening around our country and around New York for decades, trying to get people to recycle. And it has not been easy. And it’s been something that we’ve all struggled with. Whether we’re single stream or dual stream, people still don’t know how to recycle correctly. People still put plastic bags in dual stream recycling just like they do in single stream recycling. They still don’t know where to put shredded paper. And whether it can be recycled or it can’t be recycled. And I think the same issue is here. This is an important decision. What do we charge? How do we manage it? Is it dual stream? Is it single stream? The agency is shifting course and deciding, again, that dual stream is the only way that Ulster County should operate. Then that should be a public discussion, and it should involve the county legislature. It should involve the recycling oversight committee. It should involve a whole lot more meetings like this, and it should involve the stake holders that will be directly implemented and impacted by these decisions. That should include the large haulers like Waste Management and County Waste. And it should involve the residents of the city of Kingston that don’t speak English. It should involve all of our residents. And the agency needs to step up and engage with our communities and really decide how can we build a better, more sustainable and also more resilient recycling industry here in Ulster County. And there is no way that that can happen before December 31st of 2018 before the proposed switch that you’re asking us to do. We need to be able to spend that time working together to decide once and for all how we do this. As many of you know, it’s taken the city of Kingston four years to completely implement single stream recycling in just the residential neighborhoods. On Tuesdays, we still have dual stream recycling, for the most part, on our business commercial districts in the city. And so we still haven’t gone fully single stream. I do think that it’s important that this decision not being made in haste. I think that the board has created a crisis, and made this seem like a crisis, making it seem that our agency is stockpiling single stream recycling. Making it seem that we have no place to put it. Making it seem that there is an emergency happening here in Ulster County, and it’s just not true. PUBLIC HEARING ON THURSDAY 6/14. Request Agency Postpone Vote on Increase in Single-Stream Tipping Fees. CITIZEN REQUEST. Please request that the UCRRA board postpone its vote on Resolution No. 2446 that proposes a single-stream recycling fee increase (intended to begin on July 1st) to allow time for discussion, to budget appropriately and consider alternative options. Resolution No. 2445 states that UCRRA will no longer accept single-stream recyclables effective at the close of business December 31, 2018. Resolution No. 2446 authorizes and approves the modification of the 2018 Tipping Fees and other Charges, to take effect July 1, 2018. 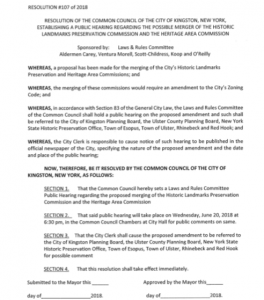 The event will be followed by UCRRA’s regular board meeting to vote on the proposed changes less than two weeks from their public hearing on Wednesday, June 27th at 12:00 pm at their offices located at 999 Flatbush Road in Kingston (VIEW our Facebook Event). A fluctuating increase in single-stream recycling tipping fees from month to month would make it a real challenge for our community to know what to anticipate. Given Kingston is in the midst of its already adopted 2017/2018 working budget with recycling tipping costs accounted for, how is this change mid-year in the best interest of 24,000 Ulster County residents who will bear the brunt? 1. During UCRRA’s Informational Meeting last month, board members stated that a change in the Single-Stream market was known in or around October of 2017. In April, an article in the local paper announced UCRRA’s plans to discontinue single stream by 12/31/18 and to also raise rates to take effect on 7/1 until single-stream would conclude at the end of the year. If the Ulster County Legislature has oversight of UCRRA, at what point were they notified of this change? 2. The Ulster County Legislature has a “Recycling Oversight Committee” that is charged to look at the changes in recycling trends and materials for the county has been inactive having “…only met a few times over the past decade.” according to Manna Jo Greene . Without it, how has the legislature used its oversight responsibilities to make any recommendations to UCRRA or impacted communities prior to proposed legislation being drafted? 3. Were there any communication made by UCCRA and the UC Legislature to the City of Kingston regarding these proposed changes prior to April, 2018? There will be many questions posed during the public hearing on Thursday afternoon. The public deserves time for all parties to respond, discuss and deliberate before changes are made to UCRRA’s single-stream system or rate changes are made. A postponement of Resolution No. 2446 is a reasonable request.